A very unusual vehicle, as an engineer having been involved with AFV's for many years I have been thinking what it may be used for, it could have been a one-off for testing another piece of equipment at Aberdeen. The equivalent of Aberdeen in the UK was MVEE (Military Vehicle Engineering Establisment) and they often built one-off specials in their workshops. 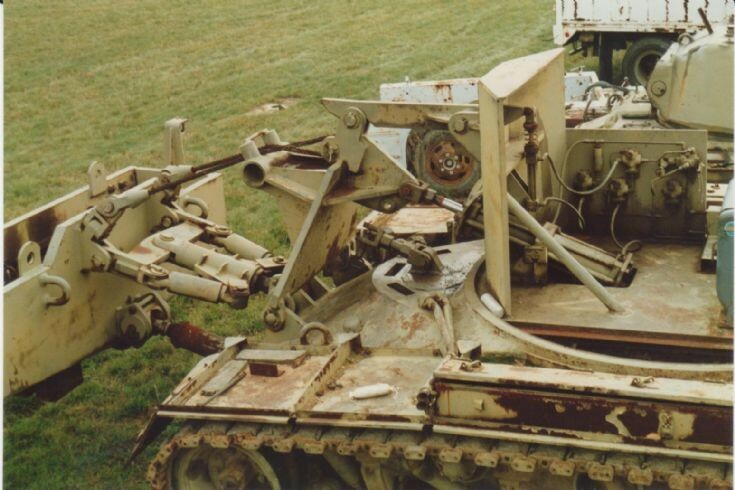 One example was a tracked dynamometer based on a Conquerer tank chassis, which I believe is now an exhibit at the Tank Museum, Bovington, England. Added by Stephen Prosser on 08 October 2013. Added by Richard S. Eshleman on 29 May 2014.